Kidney is a bean shaped organ which is involved in vital function of the human body. Typical length of the kidney of a healthy adult varies from 10 - 14 cm and width varies from 3 - 4 cm while it weights between 120 - 175 g.
Kidneys are located just below the diaphragm in the abdominal cavity, on each side of the spine, in between12th thoracic and third Lumbar vertebra. Normally right kidney is located slightly lower than the left. There are about one million nephrons in a kidney which carry out several functions. Following are the most important among the many functions in which kidney performs. Excretion of waste products including ammonia and urea. Regulation of ions such as sodium and potassium and acid-base homeostasis. Secretion of erythropoietin which is important for red blood cell production - Production of active Vitamin D.
During the year 1990-1992, there were numbers of people suffering from CKD and number of deaths due to CKD in Padhaviya, Anuradhapura District. Later, more people have been recorded from nearby regions including Medawachchiya, Medhirigiriya in Polonnaruwa District, Girandurukotte and Mahiyanganaya in Uva Province, Dehiattakandiya in Eastern Province and Wilgamuwa, Hettipola in Central Province. Aetiology of the disease is not the above-mentioned diabetes mellitus and high blood pressure etc, so the aetiology is uncertain to the date, hence the disease is known as chronic Kidney Disease of Uncertain aetiology. Majority of the patients are male farmers. Sometimes several members of the same family are affected, so it is suspected that there is a genetic effect on the disease. It is important to subject patients for several urine and blood tests via screen programmes in endemic areas. Following two tests are important. Kidney function is being impaired with the progressive damage to the kidney. Status of CKDu has been categorized in to five stages according the kidney function. Confirmation of the disease is done using a kidney biopsy. This is available only in certain hospitals with a referral from a consultant nephrologist. So, there is no need of being afraid to such procedures. If the patient has been identified at early stages, the disease progression can be stopped or slow down. Therefore, the people who are above 16 years of age from CKDu endemic region, should participate to screening programmes to check whether they have the disease. In these programmes, urine protein and serum creatinine will be tested and if you found to be a CKDu patient after an ultrasound scan, you will be directed to the nearby renal clinic. It is important to focus on following facts to prevent the disease. 2. Use of protective gear while using agrochemicals and proper use agrochemicals. 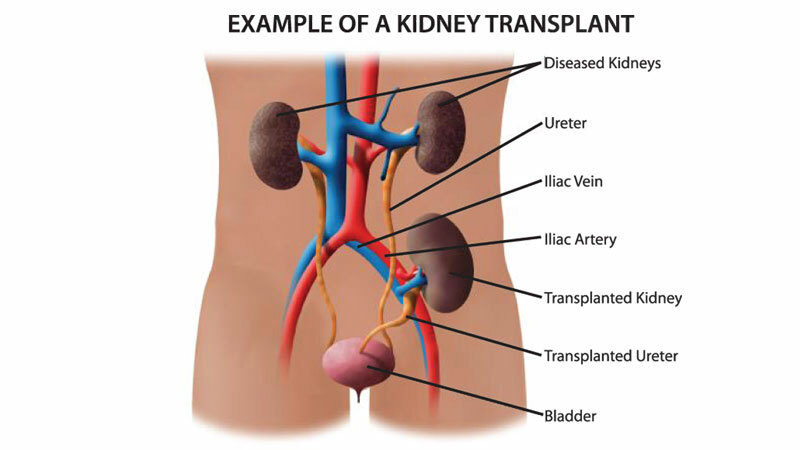 Kidney Transplantation are the treatment options available. While doing everything possible to prevent & treat CKDu , it is also important to provide proper Supportive & Palliative Care to these patients to look after their enormous physical , psychosocial & spiritual issues to give them dignity & comfort.